If you have a scrap Toyota vehicle, the idea of selling it might have come to your mind a number of times. However, the thoughts of not getting a decent buyer might be daunting you. As a consequence of which you may not be able to make a firm decision. And, you might also be keeping yourself away from the benefits of ditching your junk automobile. At Wreck Monster, we buy the entire range of Toyota vehicle, whether it is a mini family car or heavy commercial truck. The way we buy and remove unwanted vehicles is very quick and free from inconvenience. We always pay the best prices for varied makes and models of Toyota. Call us today or enquire through our website to sell your damaged Toyota. We pay the top cash for Toyota from $100 up to $9,999. The great thing is that we do it without bothering about your car, whether van, Ute, truck or SUV is old or junk. Therefore, even if your vehicle is running fine or having an engine failure. We will pay you the right amount of money just before our team tow it away. This amazing quality of ours makes us recognise as the number one reliable cash for cars throughout the town. We always guarantee to guide our customers in the right direction. This means we don’t decline any Toyota vehicle based on its make, manufacturing year or model. While we know that there are certain companies like us that don’t accept certain models. But we always accept every model that goes in the list of the Toyota brand. Our Toyota wreckers loves to keep the process of junk car removal completely free from any kind of hassles. That’s why, we don’t waste much time and energy of our clients in towing their Junker to our work place. Instead, we straight away send our team to do an on-site inspection and valuation. Once you take our offer, our talented crew will quickly pull the wrecked vehicle to our wrecking area. And before doing it, we will even pay you a solid cash amount in hand. In addition, our department will also handle all the related paperwork on your side. The experience vehicle appraisers in our department always make excellent cash offers. Normally, you will just need to give us a single call or get in touch online. We will make you an excellent and free cash offer within a couple of hours. There won’t be any obligation regarding your approval to the offer. We also guarantee that our price will certainly beat any written quote offered by our competitors. By selling your scrap Toyota you can certainly enjoy a lot more than just clearing away the clutter from your property. It will help you to avoid paying a huge repair and maintenance bills. Added to this, you will be also able to contribute saving the environment from your vehicle’s harmful emissions. It is also your opportunity to make a fair amount of cash. Being the leading Toyota dismantling company in the continually growing scrap car buying industry. We use accepted automobiles in a lucrative way. This aid us in adding contributions to the environment and the economy. Every vehicle that we purchase is wrecked in such a way that it is given a new life in the form of recycled items. Due to this we are able to sell best quality used spare parts for Toyota models. Our wide range of second hand Toyota components is low-priced and easily accessible. Since we are the quickest way to sell Toyota vehicles for the best price within the same day. Don’t waste your time and contact Wreck Monster today. You can send us an email, fill out the web form or just call us @ 0401 333 393. Not everyone knows that getting their scrap car sent to the local car wreckers is a task that involves little to no effort, and is completely free. However, that isn’t the best part. That would be the fact that you will actually get money from the process. How could this be so? Easy. Your old junk vehicle is still worth money. Although as a whole it is un-driveable, there will be components and parts that will still work just fine. And the steel can be recycled and sold as well. So who is buying old cars for the purpose of salvaging parts and materials? Cash for car companies! 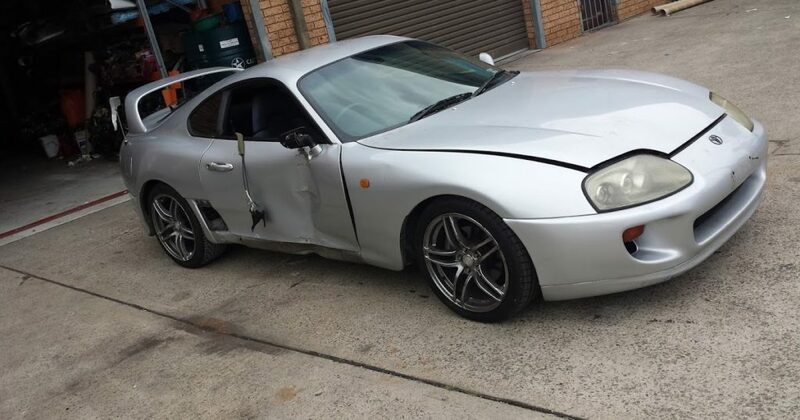 They are also called “car removal services” and Toyota wreckers in Sydney, NSW. They make their living buying junk cars and salvaging them. These firms don’t only buy cars either. They buy all manner of vehicles. Utes, 4×4’s, SUV’s, vans and trucks all fall within their purview. If you have an unwanted Toyota vehicle that you need gone fast, and you have decided that a cash for cars service is your best bet, you are correct. All you need to do now is contact them. It shouldn’t be hard to find one, as there are plenty in Sydney. Call them or fill out the form on their website. They will respond with your free quote as fast as they can. Some companies will ask you to arrange your own transport for the Toyota in question. If the automobile isn’t in running condition, this will mean hiring a tow truck or similar service. If this is asked of you, you will be well advised to contact another company. A lot of auto removal outfits will actually provide the removal of your vehicle themselves using their own tow truck or flatbed. If you want to maximise your end of day takings, this is the recommended way to do so. You are selling a junk car to a company that will use it as a source of parts and materials. Even if the vehicle in question has no parts that are in good enough condition, there will be plenty of steel. This means that your Toyota can be in any condition. They will still buy it off you, regardless. Whatever model your Toyota happens to be, you should have no problem. 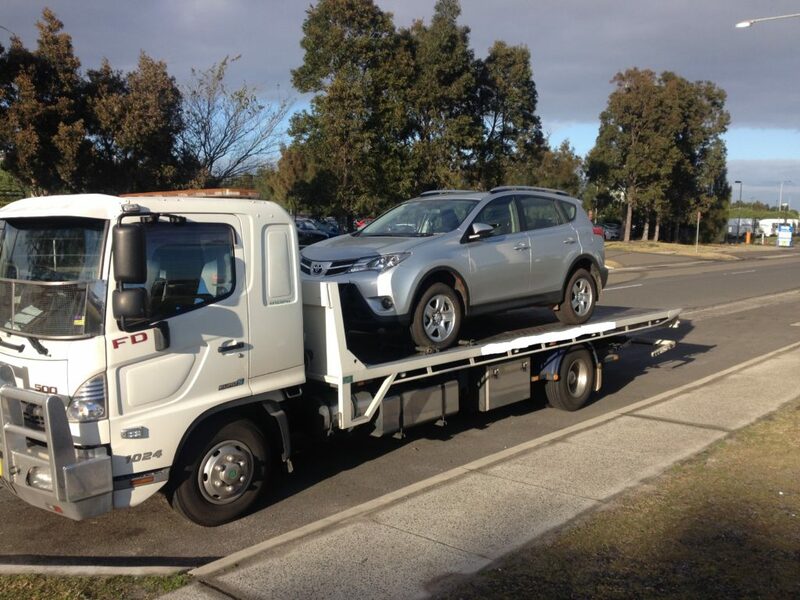 Some Toyota removal crew specialise in only some models, but most will buy them all. So whether you own a Targo, Rukus, Hilux, Prado, Camry, Corolla, Hiace, Land Cruiser or Yaris, rest easy knowing that selling it will be easy and fast. If you ever need a second hand part for the purposes of fixing your Toyota, be thankful for your local car wrecking Cash for Cars Company. The salvaging process gives them an inventory of used parts that will be wide and varied. You will have no trouble finding the part you need.